Restorative Yoga is the most relaxing aspect of the practise of Iyengar Yoga. 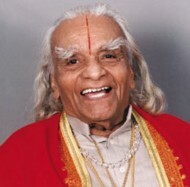 In fact it is thanks to BKS Iyengar that we have “Restorative Yoga” and the use of props today. In modern day life the brain and nervous system are constantly put under stress and strain. The effects of stress have reached alarming proportions and are the underlying cause of many modern day illnesses. In restorative yoga the body is put into different positions (asana) with the help of props. This gives the body the ability to open up completely, stimulate some organs while resting others deeply and to stay there longer to get more benefits out of each pose. Restorative yoga gives you direct access to quieten the nervous system and to rest the brain. As part of your practise you will put your body upside down – with the help of props to reverse the stress that gravity puts on the body. The spine is able to rest and lengthen. The body does not have to work hard to get the blood to the brain – it just flows there by itself. The internal organs are put back into place and especially the heart is able to rest and receive an abundance of blood without having to strain to pump it there. Simple inverted postures (asana) change hormonal levels, reduce blood pressure and fluid retention and are tremendously beneficial for the brain and the heart.